City of winnipeg map art. These maps are laser cut from stainless steel and come framed. Made in Winnipeg Manitoba. 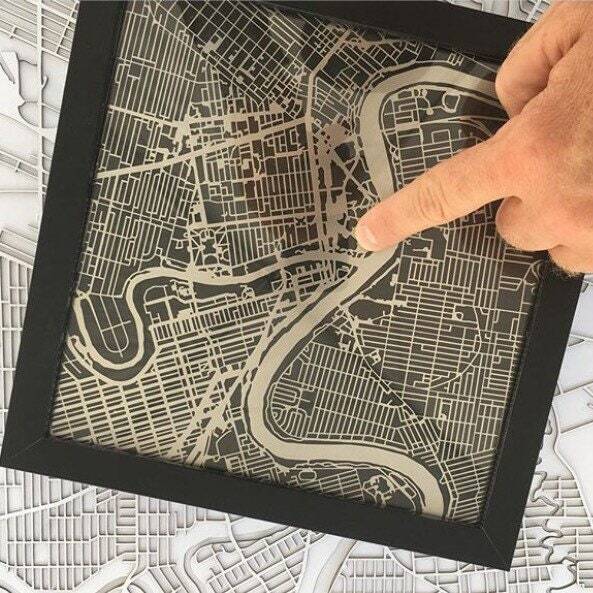 9"x9"
Laser cut map art of Winnipeg these pieces show city of Winnipeg with the Red and Assiniboine rivers. Made from stainless steel and mateboard.